Save the Date! Meet our specialists at the MSACL 2019 in Palm Springs, CA. 11th Annual North American Conference & Exhibits. MSACL provides a forum for discussing the clinical application of mass spectrometry by bringing together academic and industrial experts in the field. 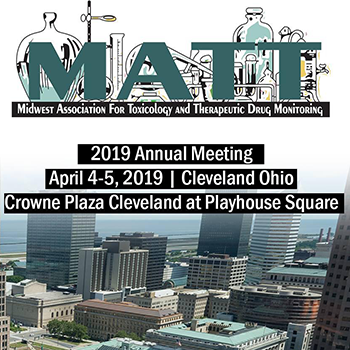 Join our Specialists in Cleveland Ohio at the Annual Meeting from the Midwest Association for Toxicology and Therapeutic Drug Monitoring (MATT). 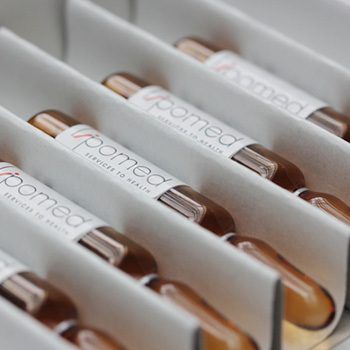 Since 1993 LIPOMED has committed itself to providing products and services of outstanding quality and expertise. We have our own GMP/GDP and ISO 9001 certified pharmaceutical production facilities in Arlesheim, near Basel (Switzerland). We are also ISO/IEC 17025 accredited for the testing of analytical reference standards and ISO 17034 accredited for the production of reference material. 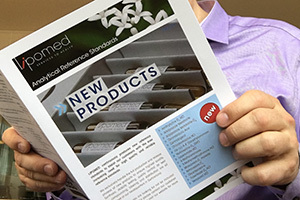 Browse through our website and discover the great variety of our analytical reference standards. As a visitor to this online shop, you can request a no obligation quote and additional information on our analytical reference standards quickly and easily at any time. Choose the products you want in the form/quantity that you require and send us your request automatically. Our customer service team will contact you promptly and will be happy to supply you with the corresponding information. You can also open a user account so that you can find the most up-to-date prices at any time. For registered customers, there is also the option of ordering directly online. It just takes a few minutes to register at www.lipomed-usa.com. All you need to register is a business email address and your company's address. If you have questions, ask our Shop Team, who will be glad to help you. Here you can download all our latest newsflyer.